I never cease to be motivated, intimidated and awestruck by Benjamin Franklin's wisdom and intentionality. As regular readers will know, I am an ardent devotee of the Information is Beautiful blog. 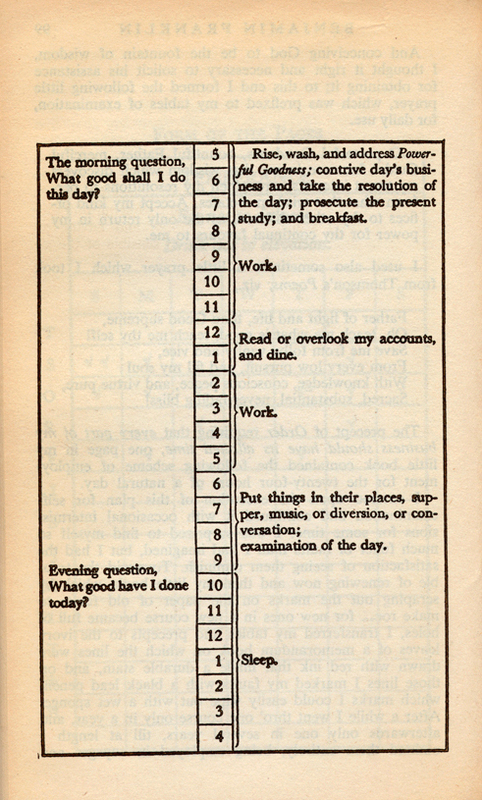 This morning, David McCandless offered an image of Franklin's daily calendar as an example of beautiful information. And it certainly is that. Have a look at this and tell me what it motivates you to do. What good have you done? And what good will you do tomorrow?